After being destroyed in the war, the Reichstag in Berlin was rebuilt between 1961 and 1971 in a simplified form without the dome, which was blown up in 1945, according to plans by Paul Baumgarten. After German reunification, the German Bundestag decided to use the building as a seat of Parliament again. 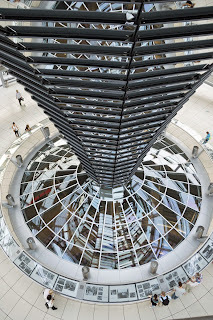 Between 1994 and 1999, the Reichstag was redesigned and expanded by the British architect Sir Norman Foster as a modern Parliament building while retaining its extensive, historical dimensions. 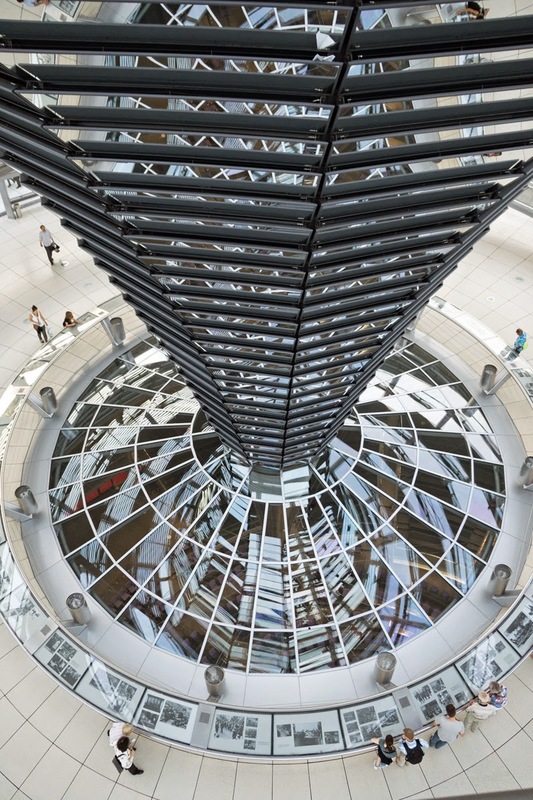 The accessible glass dome, which initially generated a lot of controversy, has since become one of the landmarks of Berlin. Since 1999, the German Bundestag has been convening in the Reichstag building. See more photos from Germany.